Fat Loss just got real simple. Membership is paid for with just 2 events: kettlercise and a pilates class. It's a no brainer! 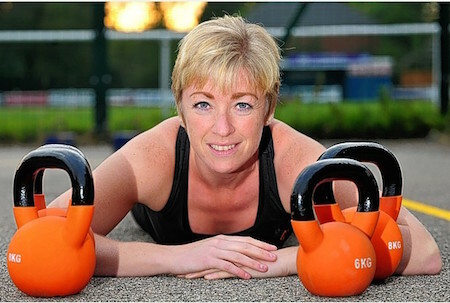 Kettlercise® is THE single most effective Kettlebell fat burning workout... designed to shape and sculpt your body in as little as 20 mins for rapid fat loss & a lean toned body. It's fun, super quick and super effective! It's a stimulating, invigorating, safe and easy-to-follow, kettlebell inspired, calorie blitzing, fat blasting program and people everywhere are loving the lightening quick RESULTS! I used pay an absolute fortune in gym fees, but after joining Social Circle I do thee fitness classes a week for free and have cancelled my gym membership.